Nights can be long and lonely with an unsettled baby – but rest assured you’re not alone – amazing advice and support is only a click away with Night Light. Johnson’s baby and Tresillian, one of Australia’s biggest child and health organisations, have come together to launch a new service, Night Light – an all new hub of the Johnson’s baby website which activates at night for mums to reach out for help when they’ve tried all of their usual settling tricks and don’t know where to turn. Jenny Smit, Tresillian’s Director Clinical Services, tells us that one of the main reasons for parents to reach out to Tresillian Live Advice is for practical support from Tresillian Nurses on how to get their baby to settle. Having the Night Light service available from 5pm each night will help sleep deprived, anxious parents that are second guessing their abilities. 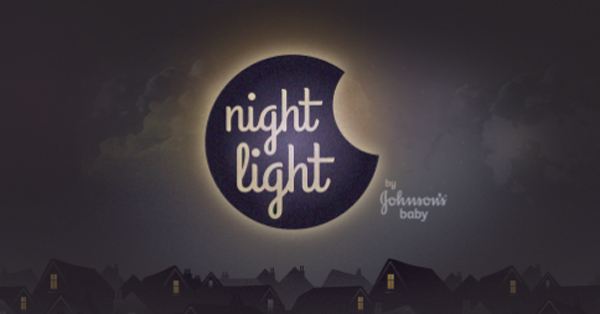 Johnson’s baby Night Light is different to other online resources for parents because it comes alive in the evening, when parents typically need help the most. There’s a bounty of tools to help mums and dads, including an archive of expertly written baby care articles, helpful hints and reassurance for new parents in the Reading Room. The Chat Room is designed for community chat for all parents to turn to for support – drop by here to lend a listening ear, share your own stories and offer encouragement, even if only to connect with all the other mums around Australia trying to rock their babies back to sleep at 3am. Night Light is also unique in that parents can receive one-on-one advice from a Tresillian Nurse about their baby’s sleep issues via the online Nurses Office. Parents can instantly connect via Facebook Messenger for advice from 5pm to 11pm. Johnson’s baby, makers of baby care and bath products, see the launch of Night Light as a way to help parents access support, positive reassurance and instil decision making confidence in the hours of the night where many mums don’t want to disturb others with questions about getting bub to sleep. We are loving the Night Light concept at Babyology HQ, if only because it helps mums know they are not alone pacing the floor in the dead of the night in their quest to get baby to settle! Visit Night Light from 5pm to get advice from a Tresillian nurse or to connect with other mums in the chatroom, and to access tips on helping babies to settle and fall asleep.